So Shay: Call me? Maybe? You didn't really think we'd NEVER make another lip synching video did you!? You do remember THIS video right? Sabrina and her amazing editing skills put together this little video for us and I hope it brings a smile to your face. It's The Teenage Dream Team Bishes! I know...I'm jealous of DDHP's hip hop moves too. I might just share that video with y'all tomorrow haha. Hilarious. Thanks for watching muffins! I'm sure there will be more in the near future! XOXO! Ok really??? Could y'all be ANY MORE STINKIN' ADORABLE!???!?!?! I LOVED y'all's video last time and this one was EVEN better! SO MUCH FUN! Can't wait to meet you so so soooooooooon!! I'm so obsessed with this song and your video just made my day! :) You guys are all adorable! PS- I might have to share this with my facebook friends! I looovvvvvveeee this! Y'all are too stinkin' cute and funny! shayyy!! the parts with you and DDHP are literally some of my faves. this is amazing. I saw this link on someone's twitter and I'm so glad I clicked!! hahah flippin' hilarious and great! my husband would NEVER be this great of a sport! so jealous!! i told rissy i better be in the next one! lol!! this looks like a blast! seriously shay - i laugh every.single.time DDHP jumps in behind you.....and i've watched this like 50 times already!! happy wednesday muffin! love you! pleeeease post the video of you and drew. either one. they are SERIOUSLY the cutest. you just make me happy. and SHAY YOU ARE GORGEOUS. holy moly. Oh my word! ahaha this made my morning a billion times better. thank you! this is THE BEST! love love love it! my favorite part is when DDHP comes clapping through with the mickey hands! My gosh! You all are so adorable and this made my day! Thanks for the joy! Loooove this!!! SO much fun!! Seriously! These videos always make me laugh! :) DDHP dancing in the background is always one of my favorite parts! HAHA He's such a good sport! This is simply AMAZING!!! Thanks for the smile to start my morning!!! yesssssss! yeah I think you should post the entire dance video you and drew did! soooooooooo funny! love you guys! But you, YOU mydear... you're just beautiful!! Thanks so much for being a part of this! I couldn't imagine life (Or this video) without you!! HOLY MOLY you girls crack my shiz up! So funny to see DDHP make an appearance! You have some sweet dance moves! SHAY! You are so stinking adorable! This video is pure greatness! I just saw your video over at adventures of newlyweds. 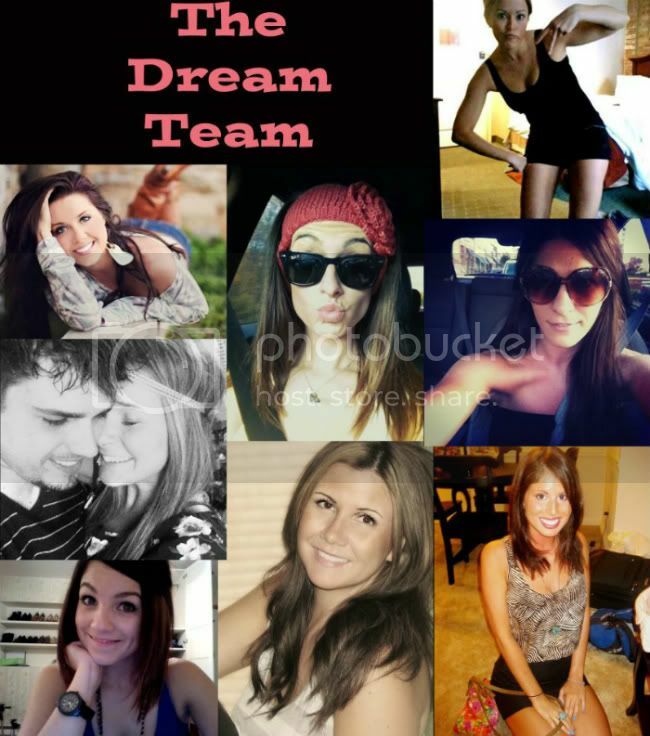 I am totally in love with the dream team! Well done girls (and husbands)!! I'm a Texan girl, newlywed and photography girl too. I'm a follower! Absolutely LOVE it! And I love this song! My little girl was watching your video with me and after it was done she goes "more". shes only 19 months hah. seriously. i love this, im jealous of all the fun yall had while making it!! Awwwwww! I have to agree with Sara and say some of my fave parts were when your hubby jumped in and starting busting his moves behind you LOL You look terrific as always! omg.... i loved every minute of this, such a FUN song!! i think DDHP stole the show. the mickey hands and the fist pumping... perfection! I can't lie. I watched this more than once...or twice. You guys are too cute!! I love that y'all went ALL OUT and DDHP got so into it, too! I'm convinced that life would be so much more enjoyable if everyone did videos like this periodically! I have seriously become OBSESSED with y'alls video! I have watched it over and over!! so glad I found your good vibe blog! I'd like to invite you to meet mine as well and hope you'll follow it if it pleases you. I'm definitely following yours!